When Maco PKG accepts a packaging opportunity, we take an indepth look at the scope of work to ensure we can exceed expectations. We individualize our process, depending on your product’s needs, and make packaging your product our priority so that you can focus your efforts elsewhere. So How to Begin Custom Contract Packaging? Click the image to learn more about our custom contract packaging solutions! Every custom contract packaging project begins with a concept, an idea, a distinct goal in mind . When a customer calls, we will discuss the various details of the product–flexible packaging, storage requirements, secondary packaging, scope of work and special consideration. We run through all the necessary validation, ensuring that our facility is well suited for your product and vise versa. We are a diverse food and beverage co-packer, so we will make sure your project fits with the other products running in our facility. Once the packaging project is validated, we go through the documentation process. We look into the MSDS (Material Safety Data Sheet) to understand how to best handle the materials to protect and ensure the best possible quality. We also will request an ingredients list as well as an allergen statement. This step ensures that we capture a good understanding of your product. Maco will work side by side with the customer to help develop a custom contract packaging solution, either flexible or rigid, in case development work is needed. We then ask the customer for a sample of their product for analysis–is it hydroscopic, dry, free flowing, dense? We will run a sample and see how the equipment handles the product. Next, we get the necessary equipment together, acess environmental controls if necessary, and set up a room for those particular packaging specifications. 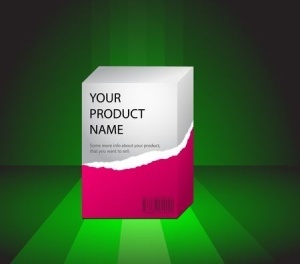 You have several options for your custom contract packaging. We can custom-blend either liquid or dry ingredients to co-manufacture your product. We are set up to receive ingredients or finished product in a variety of formats, including over the road tanker. We then introduce the product to the line where the magic of packaging occurs. Regularly throughout the run, our quality team makes rounds to check each product’s individual analytics. Maco has the capability to test for a wide variety of parameter including (but not limited to) PH, brix, water activity, moisture content, color, flavor, tensile, and others. The customer can choose to send in all of the packaging materials and components, or we can acquire these item ourselves. Maco Pkg offers a 100% quality guarantee. If you are not happy, we are not happy. We love what we do and we are eager to further explain our process if you’re interested. Call us at +1-315-226-1000 and let’s chat!